France underwent a national identity crisis after World War II. The toll of war, Soviet-American power and anti-colonialism, and colonial insurgencies in French Indochina and North Africa threatened the lofty perch that France had grown accustomed to as a European heavyweight possessing a global empire. French leaders saw “technological prowess” as a way to regain the nation’s footing and fading grandeur. An elite corps of technocrats from L’École Polytechnique was installed at the Commissariat Général au Plan to help the country reach its scientific and technological potential. Wielding cutting-edge statistical tools popularized in the U.S. such as econometrics, these bureaucrats devised multi-year programs with heavy industry a major priority. If industrial progress was the “bridge” between a “mythologized past and [its] coveted future,” nuclear power was that bridge’s symbolic pillar. French politics had animated the nuclear industry from the start. The priority given to non-technical issues was evident, for example, in the Commisariat à l’Énergie Atomique’s (CEA) promotion of a filière française, a gas-graphite reactor, rather than American and Canadian variants using light- and heavy-water, respectively. 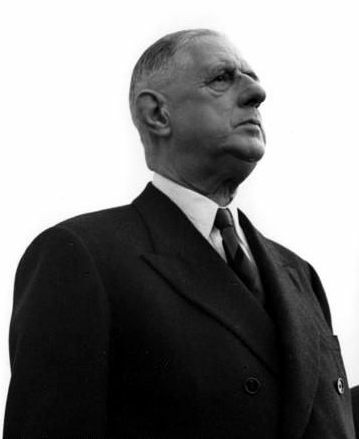 Charles de Gaulle had founded the CEA in 1945, appointing the world-famous chemist Frédéric Joliot-Curie as its High Commissioner. But Joliot-Curie’s communist sympathies and his hostility to weapons-related research and development led to his ouster in 1950. Though never authorized by the Fourth Republic’s run of short-lived, dysfunctional governments, the new commissioner, Felix Perrin, made pursuing an independent nuclear arsenal a cardinal goal. This ministerial policy laid the foundations of a military nuclear program and justified a gas-graphite system that would breed the maximum bomb-usable plutonium. 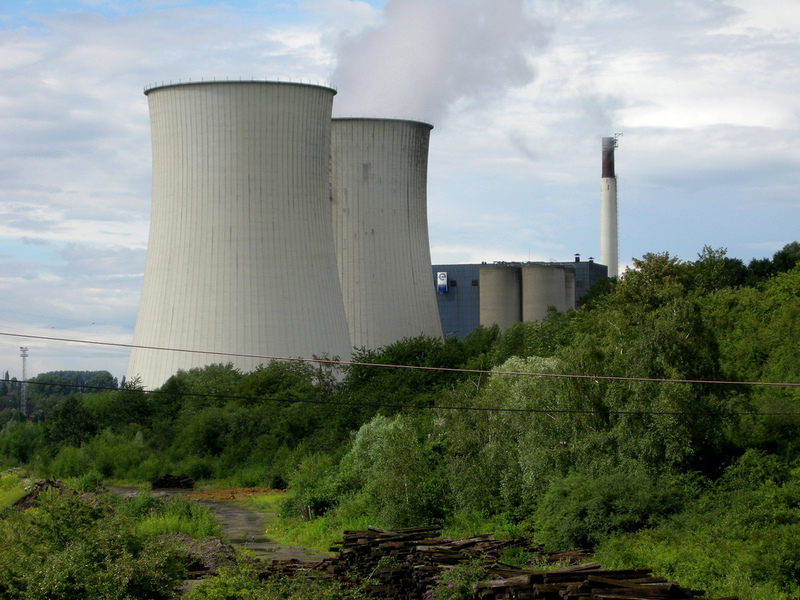 The book ends with an in-depth account of the battle between the CEA and Electricité de France (EDF), a national public utility, over competing reactor types at Chinon and Marcoule. The CEA wanted more plutonium while the EDF wanted more electricity. In squabbles over plutonium pricing, the kilowatt-hour’s cost structure, and the optimal export reactor, each party used statistical models to rationalize its position. 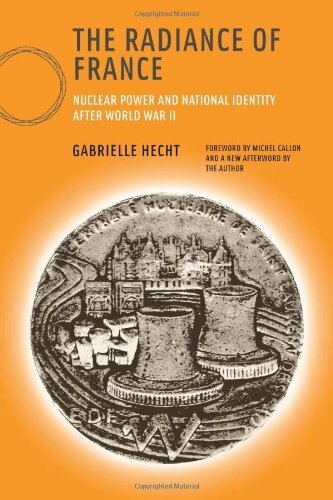 Hecht’s presentation of the interagency clash makes the remaining chapters about cultures of labor at nuclear plants and nuclear power’s contested meanings in the countryside seem relatively peripheral. The intricacy of the political maneuvering, the diversity of characters (trade unionists, nuclear engineers, government committees, even antinuclear Buddhists), and the elegance of the account of how commercial demands trumped national pride when a light-water design associated with American power rather than French ingenuity replaced the filière française all bring to mind Tom Wolfe’s better novels. The Radiance of France’s place among the canonical histories of science and technology is chiefly warranted by Hecht’s deep and measured thoughts about the realm of technopolitics. Her insights open new windows through which to contemplate how technology and engineering of any type or scale evolves in concert with political life. She accomplishes this feat while conferring a historical sense on those gray towers as deep and nuanced as one might expect of a baroque châteaux. Jonathan Hunt’s blog pieces: on Iran’s nuclear program and the Reykjavik nuclear talks.